Western and southeastern Colorado saw additional improvements in drought conditions over the past week. 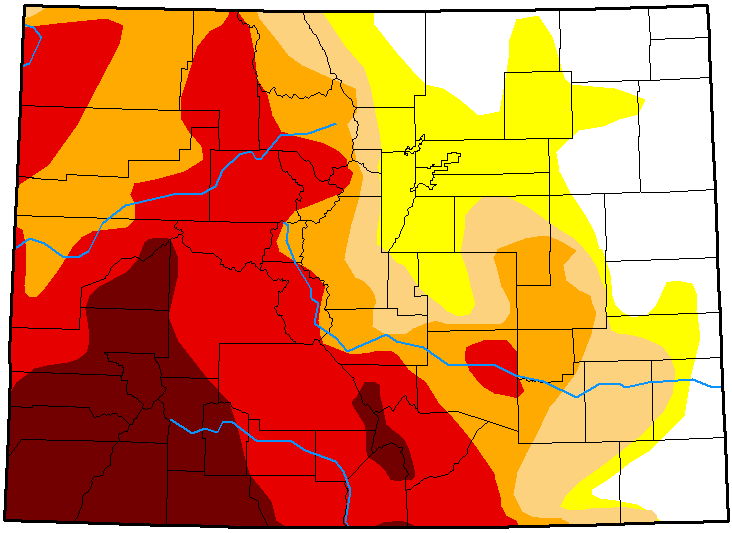 In the west central area, Mesa County and northwest Montrose County moved from extreme to severe drought. Both counties were covered by extreme and exceptional conditions two weeks ago before the remnants of Hurricane Rosa brought welcome rains. 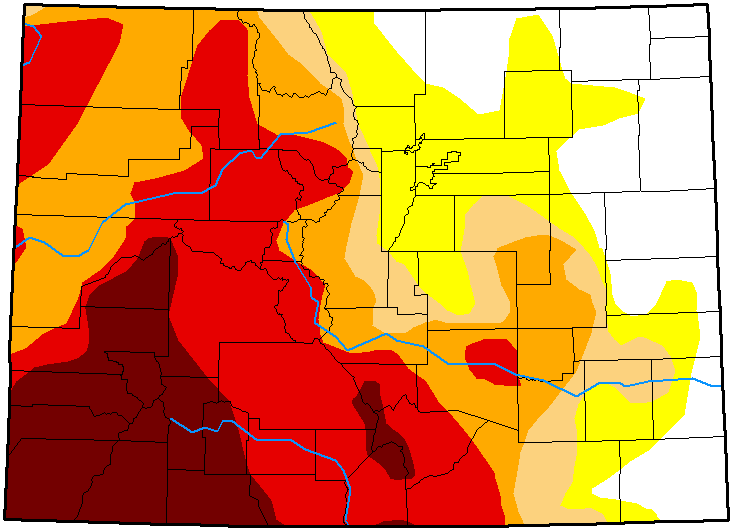 In northern Colorado, Routt and Grand counties both saw some transition from extreme to severe conditions, while moderate drought gave way to abnormally dry conditions in parts of western Larimer and Boulder counties. Drought continues to significantly retreat in southeast Colorado after being in extreme conditions for part of the summer. Nearly all of Baca County is drought-free, with some abnormally dry conditions remaining in the north- and southeast corners. 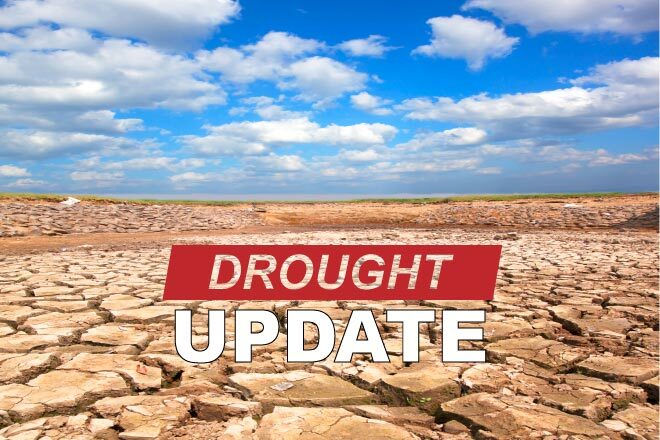 Moderate drought gave way to abnormally dry conditions over the southern half of Bent County, and smaller portions of western Prowers and northeast Las Animas counties. An area of extreme drought in northeast Pueblo County also shrank compared to the prior week. Overall, 17 percent of Colorado is drought-free, unchanged from the prior week, while 16 percent of the state is abnormally dry, up from 13. Moderate drought impacted nine percent of the state, up two points, while severe drought increased from 20 percent from 18. Extreme drought covers 25 percent of the state, a decrease from 28 percent. Exceptional drought was unchanged at 14 percent. One year ago, 72 percent of Colorado was drought-free, while 27 percent was abnormally dry. Just one percent was in moderate drought.